Social media has created a platform for communication unlike one that has ever existed before and, according to Lt. Gov. Gavin Newsom, that platform can be honed to help the current government structure to evolve. The book elaborates on methods of applying Twitter, Facebook, Youtube and other forms of social media to “dissolve political gridlock” on the government level. The constant innovation of mobile applications has shown that there is a push to customize obligations of the daily grind and according to Newsom, that innovation has failed to reach the government level. “The government is in a collision course with the future—it is no longer connected,” said Newsom. 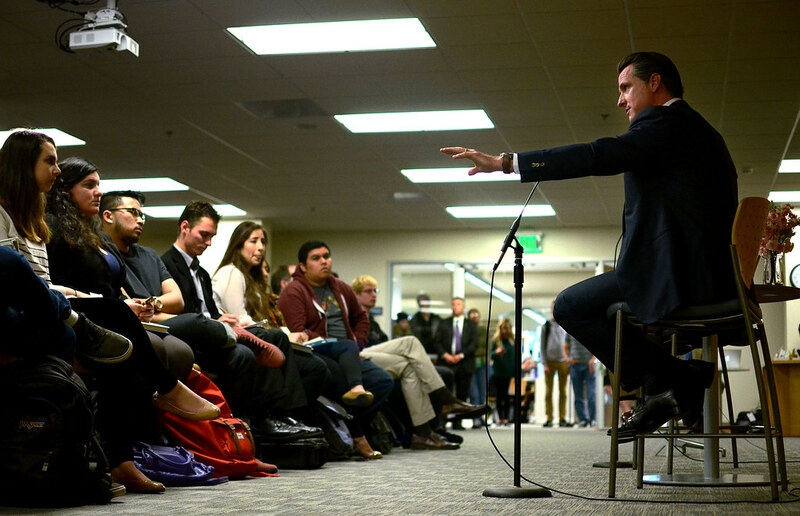 Speaking directly to the students, Newsom emphasized that the Millennial generation has a particular advantage on the social media front because it was raised learning to incorporate the technology into daily problem-solving. Suria Sadat, a 22-year-old senior political science major, was urged to attend the discussion by her urban politics professor. She found Newsom’s frankness about the flaws in the democratic system refreshing. 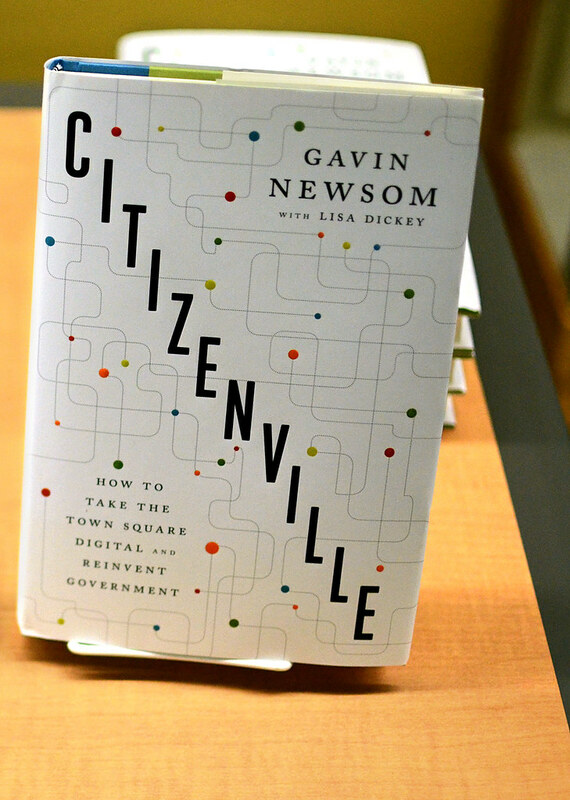 Newsom’s book release and stirring discussion has come advantageously before the 2014 election cycle. His appeal to students to take charge of political discourse transcends this single election.